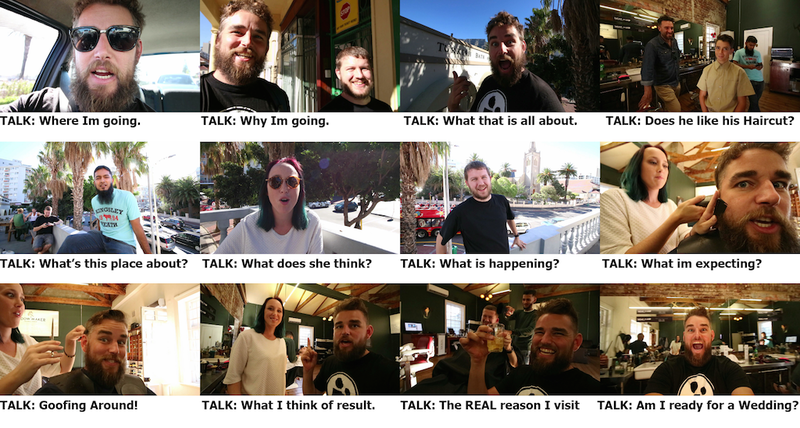 People grossly underestimate the value of talking in videos. Too often we think stringing pretty shots together with great music will be enough to capture the undivided-attention of our viewers. Well the truth is unless you really (really really) good at capturing cinematic masterpieces, you will lose them. This is especially true of YouTube. What keeps people coming back to watch videos by YouTube Starts like Casey Neistat is exactly that, the Video Star. This does not mean you need to be famous to keep people watching, this just means you need to keep them engaged with what it is they came to find in your video. Sometimes this means being funny, sometimes this means being informative, but it ALWAYS means you have got to keep the narrative of your story flowing. This constant delivery of up & down information is like an information Rollercoaster. Here is a video of me going for a Hair-Cut. Your first thought is probably, why the hell would I want to watch someone going for a Hair-Cut? But there is a story here that goes beyond just cutting hair (and controlling a ridiculously messy beard). Take note that there are never more that 5 shots back to back with only music before either I or someone else are talking again. What's in the Barber shop video? I like coming here because of the service, the people & the whisky. But I also came here to get ready to be the best man at a wedding, and also, because I was starting to look like a homeless person. DISCLAIMER – I did not get asked or paid by Widow-Maker to make this video. I simply want to share my experiences of a really cool places. The fact that I got my next Hair-Cut for free is a bonus that we will discuss another time. The reasons I come here that were mentioned now (mess, service, people,whisky, wedding) are collectively my story and I want to share this information with my viewers. There is some part of this narrative given every step of the way. You have to ask yourself the question: Why am I making this video? The answer to that will be the basis of your story. Then embellish your story by keeping the conversation going. Find various things to say about your experience. Talk to people. Don’t underestimate both the power & importance of verbal interaction for both the conveyance of information as well as pure entertainment.